Our eight double rooms – two with lake view – are well maintained and comfortably furnished. They have shower / WC and hairdryer, satellite color TV and radio and minibar. 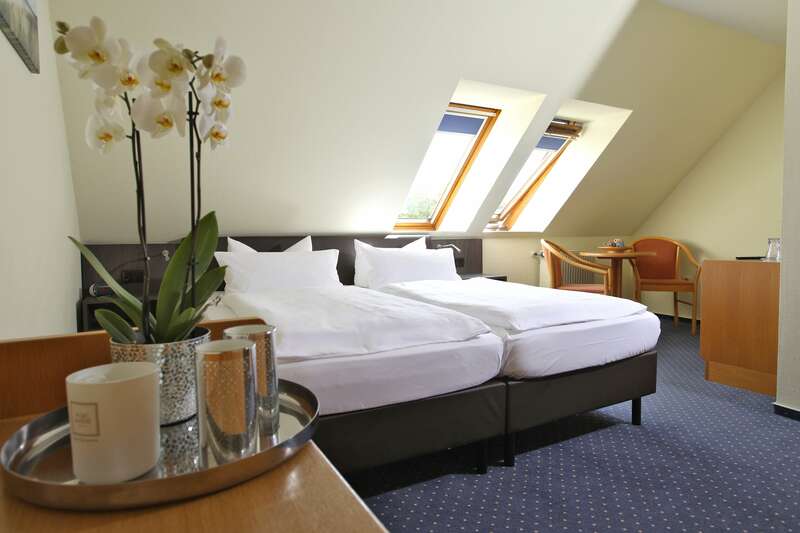 Our double rooms have an average size of nearly 20 square meters.